Standing firm at the curb, he looks toward the oncoming cars. His stance enhanced by the jacket and sunglasses. Fate is coming and he is waiting to embrace it. Or, maybe the bus us just running late. 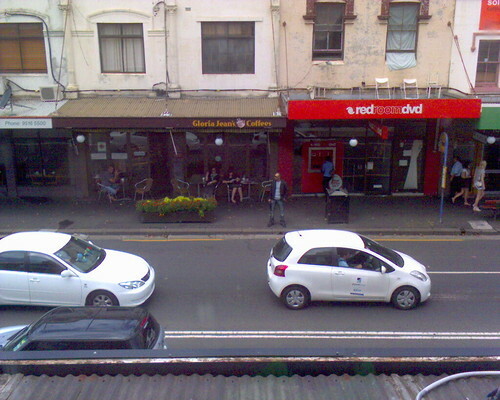 This entry was posted in Photos and tagged Newtown, photo, waiting. Bookmark the permalink.